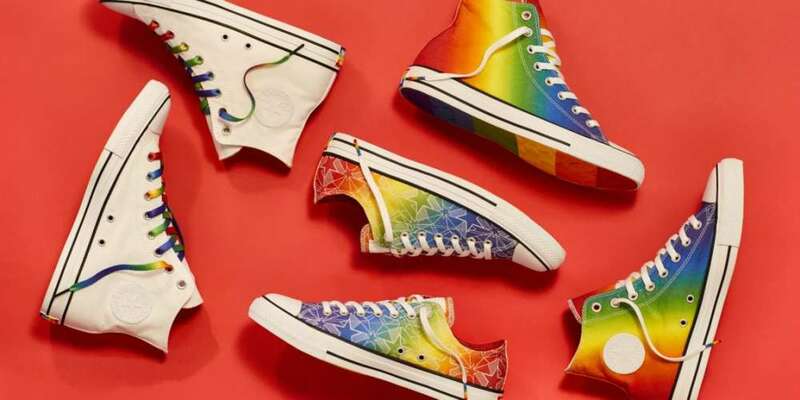 Just in time for Pride month, Converse unveiled their 2017 Converse Pride Collection, a brightly colored and boldly detailed line that celebrates LGBTQ communities. 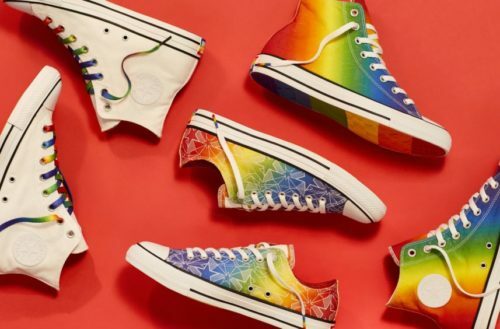 A fabulous addition to any pride outfit, Converse is just one of the many major fashion brands releasing rainbow adorned additions to their collections. The collection will be available in Converse stores and on Converse.com on May 25 with prices ranging from $25 to $110. “Through this collection, Converse says, ‘Yes to all!’ standing with the belief that whatever your gender, sexual orientation, or identity, everyone is free to be who they are,” a Converse representative tells us. Not only are they really cute, they are also are for a good cause. Net proceeds of direct sales from the 2017 Pride Collection will go to It Gets Better and The Happy Hippie Foundation, two organizations that support the mission to create and inspire positive outcomes in the lives of lesbian, gay, bisexual and transgender youth around the world. The Converse Pride Collection is a limited-edition compilation of iconic Chuck Taylor All Stars, and Chuck Taylor All Star 70s – designed to celebrate the LGBTQ communities with bright colors and bold details. The Chuck Taylor All Stars will come in three different hi and ox styles with pride-inspired rubber outsole and Chuck patch, as well as pride-inspired aglets and heel-stay and one style with a mesh-over- mimaki-printed white canvas upper. The Chuck Taylor All Star ’70 which will include 70s inspired patches, pride theme foot bed, and terry cloth heel stay. Launched by syndicated columnist Dan Savage and his partner Terry Miller, It Gets Better leverages the power of media to reach and provide critical support and hope to LGBTQ young people around the world. Founded by Miley Cyrus, the Happy Hippie Foundation rallies young people to stand up against the injustices that face LGBTQ youth today, including homelessness.